The Springhill Court Hotel Kilkenny located in the Medieval Capital of Ireland and situated in the heart of Irelands Ancient East. 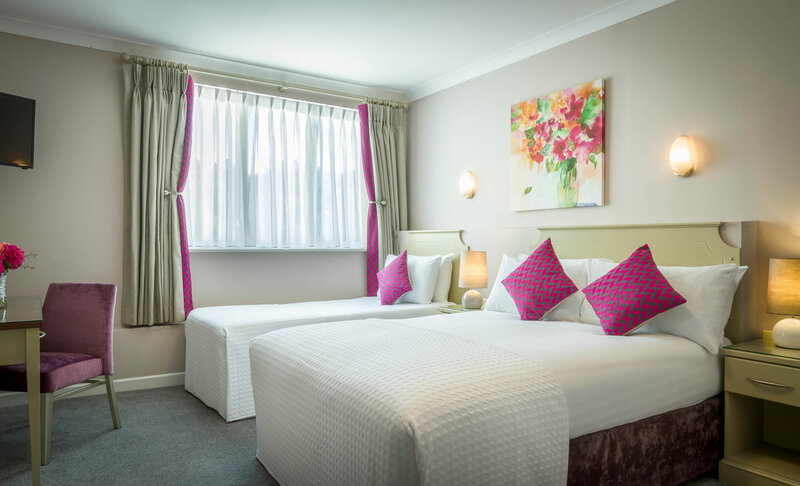 The newly refurbished Springhill Court Hotel Kilkenny is close to Kilkenny City, which is renowned for its culture, cuisine, medieval history, boutique shopping and unbeatable nightlife. 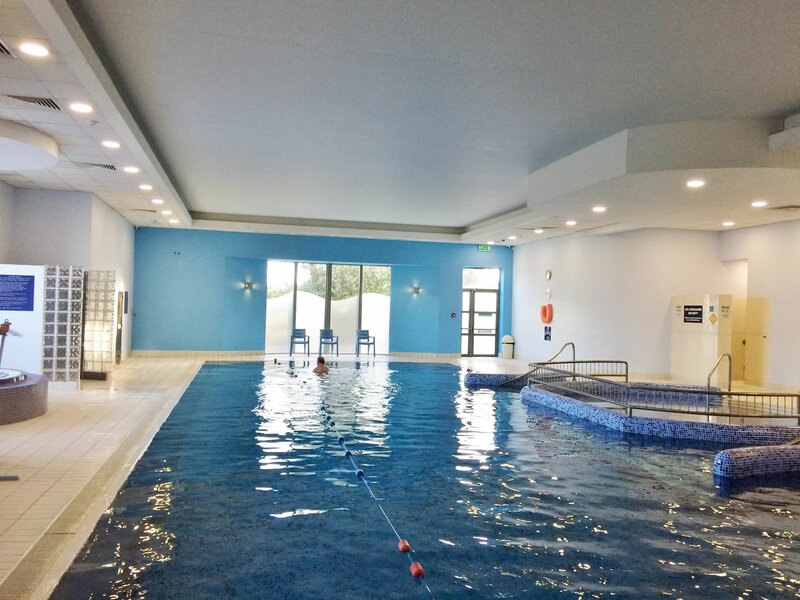 The Springhill Court Hotel is one of the most popular hotels in Kilkenny for leisure and family breaks. Set out on your journey stress free knowing that we are easily accessible and have ample free car parking on site. From Carlow/Dublin: Coming in the N10 take a left at the first roundabout heading for the Waterford Road. Go straight through the next two roundabouts. At the fourth roundabout take the first exit (left) heading for Waterford. The Springhill Court conference leisure and spa hotel is on the left-hand side along the Waterford Road. From Clonmel/Cork: Coming in the N76 take a right at the first roundabout heading for the Waterford Road. Go straight through the next roundabout. At the third roundabout take the third exit heading for Waterford. The Springhill Court conference leisure and spa hotel is on the left-hand side along the Waterford Road. From Waterford: The Springhill Court conference leisure and spa hotel is on the right hand side before you come to the first roundabout on the ring road. Kilkenny city - characterised by beautifully restored old buildings and winding slipways, is small and compact enough to explore on foot yet full of fascinating historical buildings and contemporary shops, design galleries and restaurants. 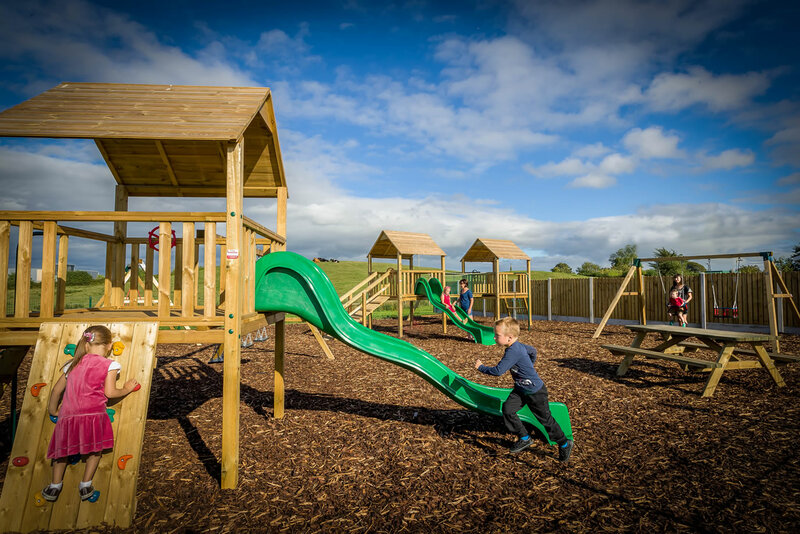 There are also a variety of activities that are available to you such as City Guided Walking Tours, Rothe House, The Watergate Theatre, Team Dynamics, Castlecomer Discovery Park Country Quads, Warrington Equestrian Centre and Kilkenny Design Centre. Lovely stay, ate in the restaurant on the 2 course with tea/coffee, very nice food. Rooms had been updated since we last stayed. Really enjoyed our stay here, staff were extremely helpful and friendly. Room was basic but clean, food in restaurant was good. Would have no problem recommending to others. Thank you . We stayed overnight at the Springhill Court Hotel with our 2 children in a family room. The receptionists were welcoming, the room was large and the bathroom clean. Everything was satisfactory. The food in the bar and at breakfast was very good. The lady in the cafe area in the morning was very accommodating and friendly. We loved the swimming pool area and spent a lot of time there. The changing rooms were really clean and the pool was lovely and warm. We were disappointed though to find the spa fully booked out on both days of our stay. A very nice hotel. Staff are very friendly and helpful. Our kids enjoyed the swimming pool and food was good in the restaurant. Enjoyable, relaxing stay. Spent a fab weekend in the Springhill Court with 4 smallies. I was so impressed with the size of the room, the 6 of us had plenty of space! Would definitely recommend! Booked this hotel at the last minute did not know what it would be like. Booked for my elderly parents and I and were pleasantly surprised when we arrived. Reception is bright and airy with a lovely seating area inside and out. Check in was easy and we were allocated a room on 2nd floor. However this room did not have a floor level shower to suit my parents, my fault of course I should have requested same. However one phone call to reception and all was sorted, in 10 minutes we were in ground floor bedroom which was both spacious and provided the required floor level shower. Anne and Jan deserve special mention for their genuine concern and apologetic approach about the initial room allocated. Absolutely not their fault but my omission in not requesting the floor level shower. The breakfast was good and varied choices great poached eggs and porridge on request. Hotel location is only 1.4 miles from Kilkenny Castle. Will use this hotel again. hotel lovely ,staff very nice. hotel was very cold on the night .had to ask to turn up the heating.pillows were cat could do with new comfy pillows. Had a great stay at the spring hill court. Staff were so polite and friendly. Hotel was very warm and relaxing. Kids loved the pool. Would definately return. Lovely hotel, great staff, really nice food. Pool is nice but showers are terrible! Very cold! Travel cots provided are small, my 2 yr old barely fit. Rooms are clean and beds comfy enough. Would stay again. Booked for 1 night b&b myself husband & 3 kids for €70 & after reading mixed reviews wasn't sure what to expect. I could not recommend enough I called ahead to ask for early check in so we could get dressed for wedding & was told our room would be ready for 12.30 found our room comfortable & spotless also asked to be away from any bar function room as traveling with 3 kids we were well away from any noise & on going to bed at 12.30 there was a wedding in full swing in function room so was a bit worried but thank fully couldn't hear a think from our room, breakfast was lovely as nice if not nicer then any 4 star in Ireland staff all very helpful & friendly, in terms of value for money definitely the best deal we ever got will defiantly return in the future. A little disappointing. Rooms were very small and could do with updating. Seems to have been painted and new carpets fitted recently. Exceptionally friendly and helpful staff. We had a lovely weekend in the Springhill Court Spa & Leisure hotel. The room was very comfortable. We enjoyed the spa pool and everyone was extremely helpful. A most pleasant break. We really enjoyed our stay in the Springhill Court Hotel. Staff were friendly and courteous, food was gorgeous. My daughter treated me to a back massage just wonderful. Great time had by all. Very relaxing stay good food morning and evening. Hotel staff were friendly and hotel clean. will go back when we are in the southeast. Welcoming reception and very friendly staff. Kids club great, and good food served in bar. Pool area ok, needs some TLC, changing rooms could do with refurbishing. Traffic noise would be a problem if your not used to it. Overall the family had a great time. A great base to explore wonderful Kilkenny. Stayed for 2 nights last week. Rooms tiny but clean. Breakfast was good, but self service area very crowded into tight space. Food was good, staff were very friendly. The kids club was a big hit with 5yr old. Pool changing area very grubby, shower area looked like it hadn't been cleaned both days. Pity no WiFi in rooms. The staff were lovely. The reception and bar area were very nice. The room was a bit musty. We stayed in a disabled room and the shower area was not nice. The tiles were grubby and the shower mat obviously hadn't been used or clean as there were 3 spiders wrapped around it. Also the shower area in the leisure centre was disgraceful. There was mountain of hair in the drains. It looked like they hadn't been cleaned at all. Great hotel for families. Great food and lovely staff. Staff very helpful, location perfect, only negative was quality of food, it wasn't horrendous but wasn't brilliant if your staying in hotel to enjoy but when paying this price something has to suffer. Very good value. Would definitely stay again. Oh dear - the hotel is quite run down. They have a sign saying 'bear with us during renovations' but we could see no evidence of any work . Breakfast was a disaster. Too many people arrived at once and the woman supervising could not cope. Because she was under pressure she was rude. A simple apology and explanation would have made a difference. Instead she was curt and bad-tempered. We spoke to two people who had booked in for 3 nights, but were now checking out after one and I was glad we were not staying. Rooms are clean and staff (except for 1) were lovely, but I would go elsewhere. Couldn't fault it for much to be honest eventhough I would say that the bar food in particular was very basic and they seem to be charging the equilivant of DUBLIN PRICES for virtually everything. kids really enjoyed themselves which was most important for us. Play area would have been a big plus for the kids apart from the kids club room. Just stayed one night in Springhill Court Spa & Leisure and can't fault it. We got stuck in traffic on the way and had to change the time for our dinner booking which they accommodated no problem. The dinner was nice, not exceptional but when you're paying a tenner each you can't go wrong. Service was good. We didn't use any of the facilities so can't comment on them. Brekkie was the typical buffet brekkie from most hotels these days. It does finish at 10am though which is quite early. For €49 pp b&b and dinner I can't complain! Very much a 3 star hotel we booked into a family room which was way too small to be advertised as being family friendly! It was literally an extra bed we asked for an upgrade but we were told the other rooms weren't any bigger! Food was ok restaurant was very dark and gloomy could definetly do with a revamp! On a positive note the pool was great and the kids enjoyed it! Won't be going back thou!! !